You may purchase multiple colors and still receive the discount.The discount applies to quantity. 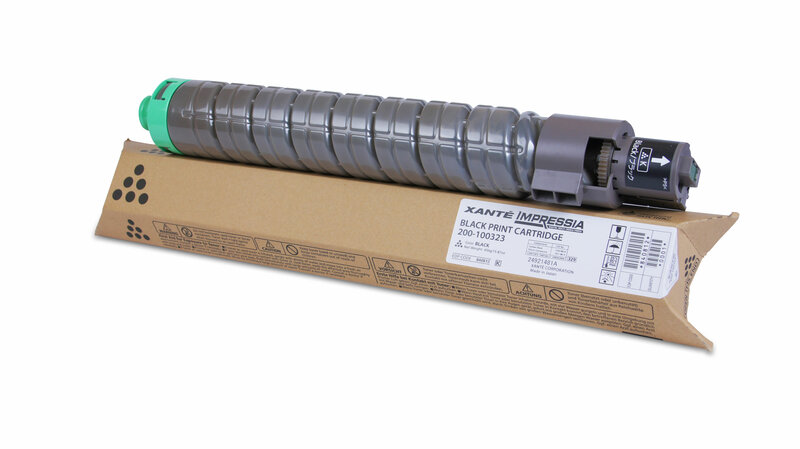 Collects all waste toner to maintain clean output. 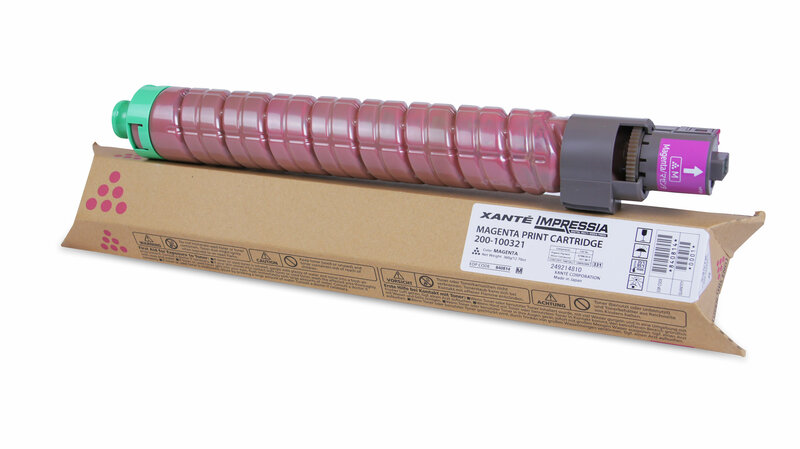 Transfer belt specifically designed for use with the Impressia printer and press systems. 40,000 impression set of CMY drums specifically designed for use with the Impressia. The drum is an integral part of the printing process, and ensures superior graphic prints. 40,000 impression drum specifically designed for use with the Impressia. The drum is an integral part of the printing process, and ensures superior graphic prints. The Impressia Stand provides the best mix of storage and mobility for any high volume production. The sturdy steel design offers convenient storage for media, consumables, and more with the ability to move on four stable casters. Myriad Matte Film (100 sheets). Designed for use with the PlateMaker, FilmMaker, and ScreenWriter. Not compatible with PlateMaker 6. Fuser units specifically designed for use with the Ilumina GL and Digital Envelope Press 220v Printers. This set of 3 530-sheet paper cassette tray, with casters specifically designed for the Ilumina Digital Color Press Printer, adds a total input capacity of 1,590 sheets of paper. Customer installable. This feeder is not compatible with the Ilumina DEP and DPP models. Visit Xante.com for more features, specifications and downloads. Want more input options? Add an extra Input Tray for up to 530 sheets of additional feed capacity. For use with Ilumina stand alone printers. Ilumina Duplex Unit. Can be added to Ilumina 502, DEP and DPP systems. An additional 512MB memory upgrade for the Ilumina 330 GL. The En/Press Digital Multi-Media Press with the patented Enterprise High Speed Feed System and the new Enterprise-SL Feeder offers users an affordable way to go digital and meet the demand for fast, full-color printing. Enterprise’s groundbreaking design features a straight multi-speed feed path for a faster and smoother delivery compared to other feed methods. The complete digital solution is powered by iQueue Workflow that offers new file editing options, new variable data manager, advanced color correction tools and more. 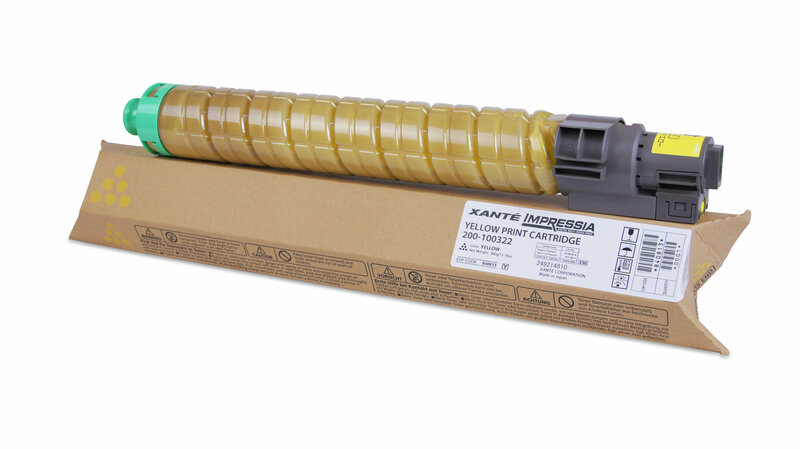 Xante is pleased to announce a revolutionary advancement in Computer-to-plate (CTP) printing technology. The En/Press Revolutionary Digital Multi-Media Press with PlateMaker 8 Inside is a brand new polyester CTP system. Specifically designed for small commercial printers and print shops, this solution is low cost, high quality, and chemical free. The best part is that it’s all contained WITHIN the En/Press which is already the best way to print your envelopes, NCR multi-part forms, stationery, invitations, announcements and more! [Impressia Multi-Media Digital Press] is going to pay for itself because it doesn’t cost what it would cost to send it to a press. It’s a workhorse. . .it’s just an awesome machine. Cal Poly selected Xante’s technology as the best of its kind to educate students on using digital technology in specialty printing processes. With the Enterprise Feeder, you don’t lose any time. You can put a box of 500 envelopes on it and let it run and go about your business. Frankly we got much more than expected. [Ilumina GS Digital Print Envelope Press] has brought us even more in terms of versatility and our ability to satisfy our customer’s needs. 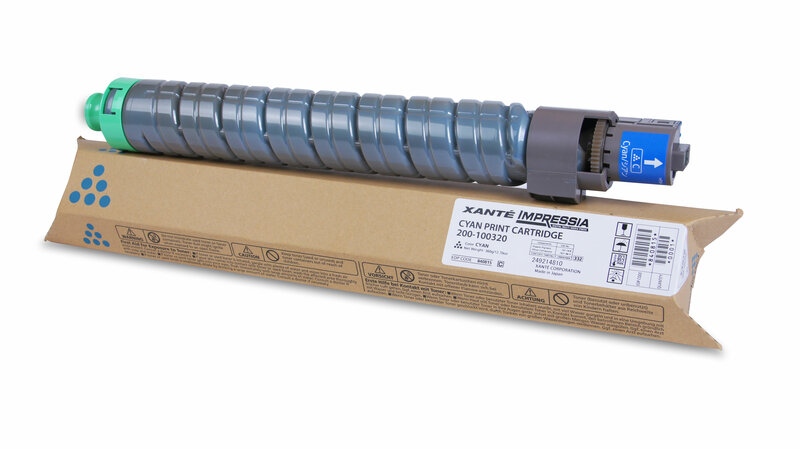 Go look at what it’s going to cost on another piece of equipment as opposed to the Impressia and you’ll find that our fuser life, our toner life, etc. is longer than the other machines out there.